The National Cowgirl Museum and Hall of Fame in Fort Worth aims to elevate the forgotten cowgirl as an equal icon of the American West. It is the only museum of its kind dedicated to celebrating women trailblazers, both past and present, who have contributed to Western life. The museum originated as a modest collection of Western artifacts housed in the basement of the Deaf Smith County Library in Hereford, TX. As the collection grew, the museum board went looking for a permanent home and found it, naturally, in Cowtown. 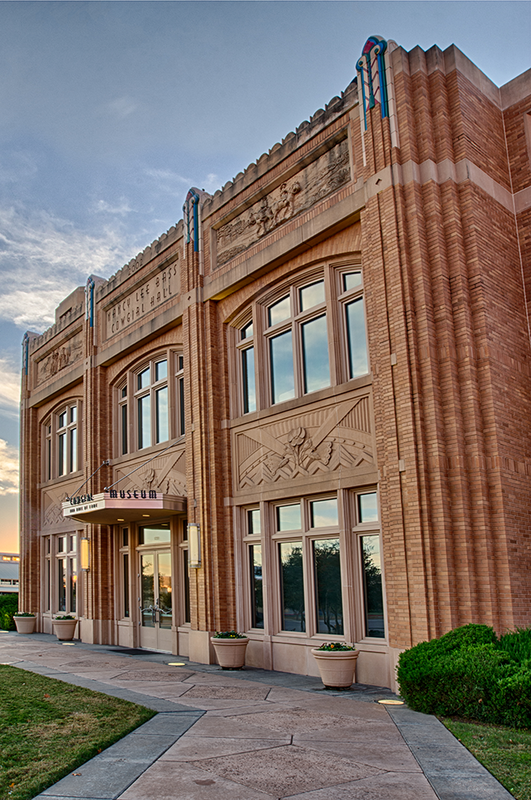 The 33,000-square-foot Cowgirl Museum now sits in the heart of the Fort Worth Cultural District, flanked by the Fort Worth Museum of Science and History and Will Rogers Memorial Coliseum. 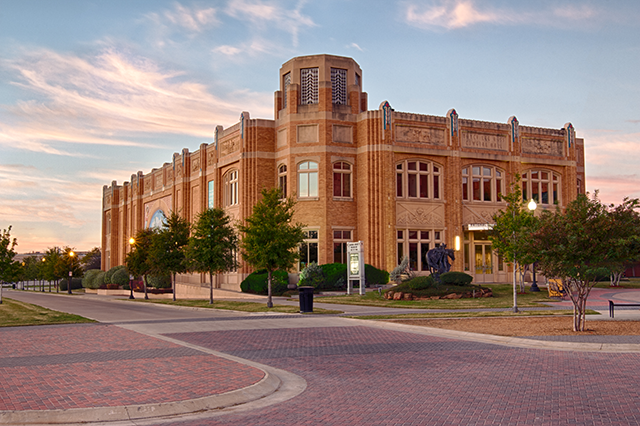 The Cowgirl Museum—completed in 2002 and designed by architect David Schwarz—is neo-Art Deco, taking its cues from the Will Rogers Center nearby. 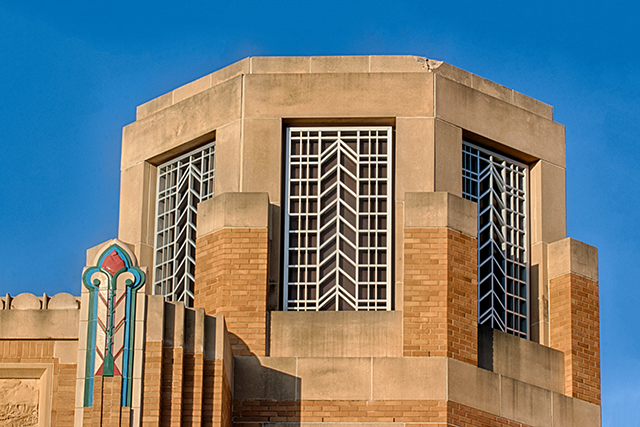 It’s a contemporary building that borrows the zigzags, chevrons, and aluminum ornamentation of its 1930s-era neighbor. The building is adorned in pure Western iconography, with bas-relief sculpture panels of wild roses and saddled horses, and a Richard Haas mural of five cowgirls kicking up a cloud of dust at full gallop. Schwarz carried his wild rose motif through from the finials on the exterior to the balusters and column capitals on the interior. And just in case you had somehow forgotten this was a cowgirl museum, sculptured horse heads and ropes twist about the light fixtures, railings, and door handles through the entrance lobby and Grand Rotunda before fading away to the clean lines of the more contemporary gallery spaces. The first-floor galleries and Grand Rotunda were recently renovated by Paris design firm Projectiles and Fort Worth architecture firm Bennett Benner Partners. The second floor will close for renovation sometime this year.